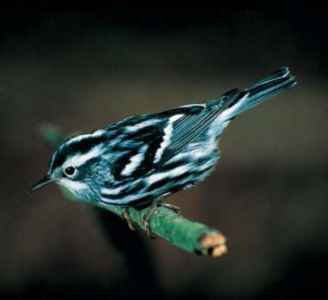 Most North American wood warblers are long-distance migrants. Their regular passage is one of the most striking features of North American bird life. During the height of the spring migration in May, it is possible to see up to 30 species in a day in eastern North America. The North American species winter mainly in Central America and northern South America, but a few resistant species winter in the United States, while others move as far south as Argentina. Although the birds are fairly small, they travel very long distances between their summer breeding grounds and winter homes, with some species traveling 3,000 mi (4,800 km) and more each way—quite a feat for such a small bird. The birds use almost their entire fat stores during the flight. An American redstart with summer territory in New Hampshire, for example, loses about 50% of its premigration weight during its 1,800 mi (2,900 km) autumn flight to its wintering site in Jamaica. Yellow warblers travel even farther. With residences in Central and South America, but summer breeding grounds reaching into northern Canada and Alaska, the birds can face treks upwards of 3,000 mi (4,800 km). The birds generally migrate from dusk to dawn during their spring and fall migrations. With top speeds of 30 mph (48 kph), the birds can cover considerable ground—often more than 100 mi (160 km) a night—when wind and weather conditions are right. Upon landing, these energy-starved birds spend little time resting, instead filling the day by filling their stomachs. During these flights, different species will often flock together, presenting a spectacular viewing opportunity for human observers. At night, the warblers are visible as they fly in front of a bright moon. During the day, the multispecies flocks land en masse, making quite a racket while searching for insects. Males and females will chip and chirp in flight and on their feeding forays, and males add to the daytime chatter in the spring by performing a few prebreeding songs. Once the birds reach the breeding grounds, most wood warblers become territorial toward other birds of the same species. While a 20-acre (8-hectare) New England forest may contain 10 or more different warbler species, males of the same species separate themselves from one another. Territory sizes depend on the availability of food and nesting sites, but usually range from about a third of an acre (0.13 ha) to five acres (2 ha) or more. Males typically rely on their songs and visual displays to ward off intruding males. American redstarts have a particularly elaborate display, involving a succession of circling movements that serve to confirm their territorial boundaries. 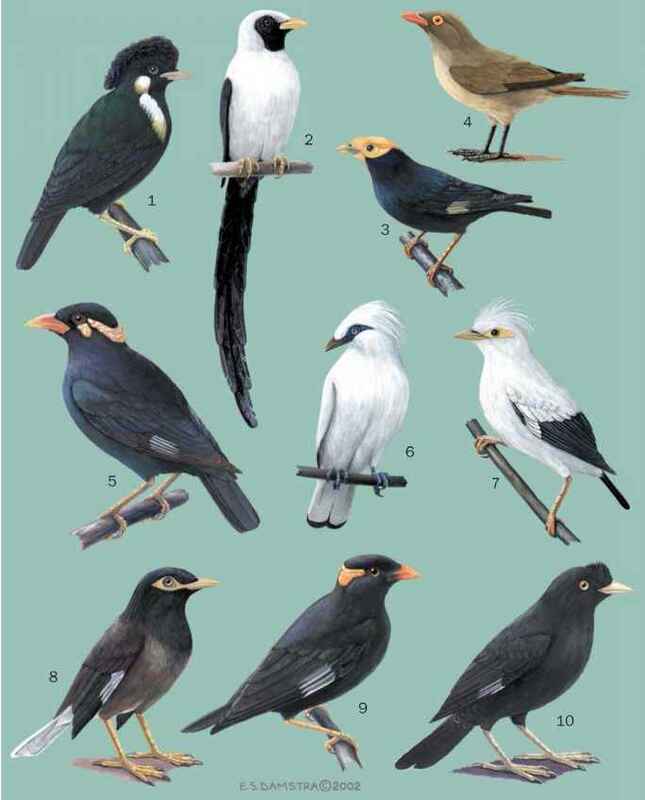 suborder of the Passeriformes, learn their songs. The learning begins within the first week after hatching, with the males learning to sing songs, and the females learning to recognize them. An exception to the rule is the female painted redstart (Myioborus pictus), whose song rivals that of the males of the species.